Beyond that, I don't think that this version of Superman is really fully developed. His character and motivations never really seem to grow. He constantly seems at a cross roads and even when he does finally take action it still seems muddled. 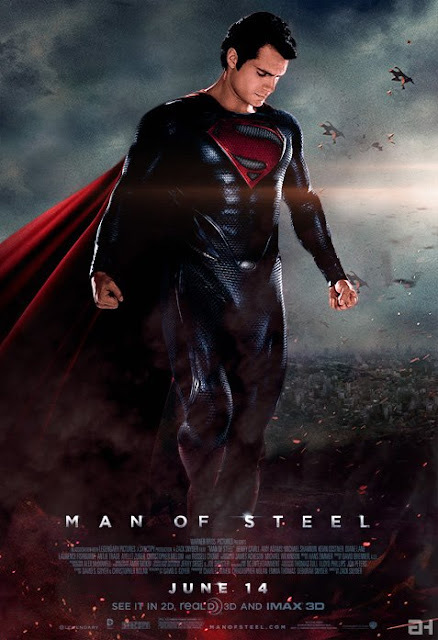 Bottom line, I believe this movie would've made Christopher Reeves proud. After the last horrendous Superman Returns theater BOMB, I think this will definitely bring Superman back into the good graces of the public. (btw: the sequel is already officially confirmed to be made) This movie is about 2.5 hours long, so I wouldn't recommend watching it late at night. It's not fast paced so if you're getting tired, you'll miss some things, and it may ruin the movie experience for you. This is a safe bet to go watch in 3D at the movies this weekend. You’ll probably also enjoy it more if you happen to catch it on DVD as well. Oh and don't bother waiting till the end...there's no ending credit scene.